SQN's CEO said the Section 201 trade case was a "fight worth fighting." SQN Capital Management issued a statement Thursday noting that it has released solar module manufacturer Suniva from bankruptcy and plans to "restart operations as soon as possible." Suniva filed for Chapter 11 bankruptcy protection last April. 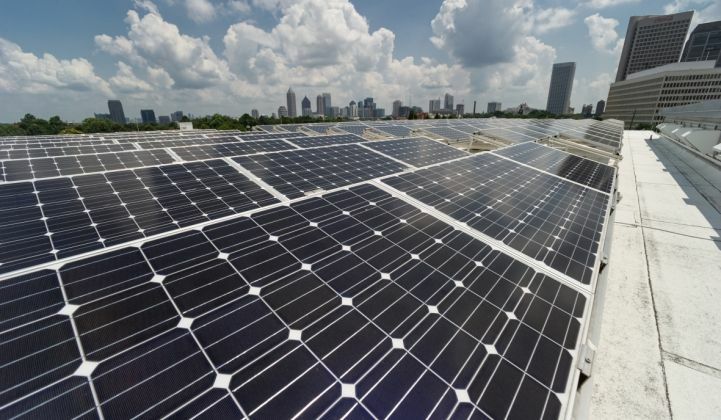 Shortly after, the Georgia-based solar manufacturer filed a Section 201 trade case, seeking relief from "destructive" foreign trade practices. At the time, Suniva was majority Chinese-owned. Financial firm SQN backed Suniva through the trade petition last year, which resulted in the Trump administration imposing a 30 percent step-down tariff on virtually all imported solar products. SolarWorld Americas, formerly the U.S. arm of a struggling German-based company, also joined the trade petition. Earlier this year, SunPower Corp. announced it will acquire SolarWorld Americas, in an attempt to free the company from painful tariffs. With today's announcement, SQN has taken ownership of Suniva's technology, licenses and manufacturing capacity. SQN and Suniva Wanxiang America Corp. gained approval to auction off parts of the company last month. The bankruptcy court ruled that if a viable buyer does not emerge, creditors, including SQN, could take over Suniva's assets. "SQN is on the verge of determining which partner will provide the best path to revitalizing the company and meeting the overwhelming demand for Suniva's high-quality, high-efficiency products," the firm said in its statement. Jeremiah Silkowski, CEO of SQN Capital Management, commented that the Section 201 trade case has been "a fight worth fighting." He added that his company is pleased to now have "multiple attractive options as we look toward Suniva's future." It's unclear what kinds of options SQN is exploring. Suniva was on track with industry trends when it began ramping production of monocrystalline passivated emitter and rear cell (PERC) technology in 2016. However, the company failed to compete on operations and cost. The company is now re-entering the market at a challenging time, said Jade Jones, senior solar analyst at GTM Research. "The industry faces a severe supply glut in the second half the year," she said. "The addition of more supply only worsens or may extend that oversupply. Suniva's ability to compete relies on who its partner is and their ability and commitment to making Suniva more cost-competitive than it was in the past." Suniva will also have to cope with some ill will. While shoring up a select group of solar manufacturers, the latest round of tariffs have dealt a blow to the broader U.S. solar industry. Some in the industry argue that SQN backed the Section 201 petition solely to save its investment in the failed Georgia company. Since new import tariffs were implemented in February, JinkoSolar, First Solar and Hanwha Q Cells have announced plans to open new solar module manufacturing facilities in the U.S. These moves are in addition to the acquisition and revitalization plans recently announced by the two trade case petitioners.